History Holler (Nov 2017) -- Let's talk cranberries. Photo courtesy of the NYTimes. My friends! I live in a house divided by one major disagreement! My husband thinks cranberries are the nastiest thing ever created, but I happen to like these gorgeous little berries. 'Tis the Thanksgiving season, and cranberries are a hot topic. All over America tomorrow, these tart little red devils will be on almost everyone's table in a wide variety of ways--slices from cranberry jelly in a can, cranberry sauces whipped up with lots of sugar, or downed as cranberry juice, on it's own or put into cocktails. Me, I'm going to be making cranberry sauce with some orange juice and zest to (hopefully) help my husband enjoy them more. Also it's likely I may have a cocktail or two. Let's not lie. 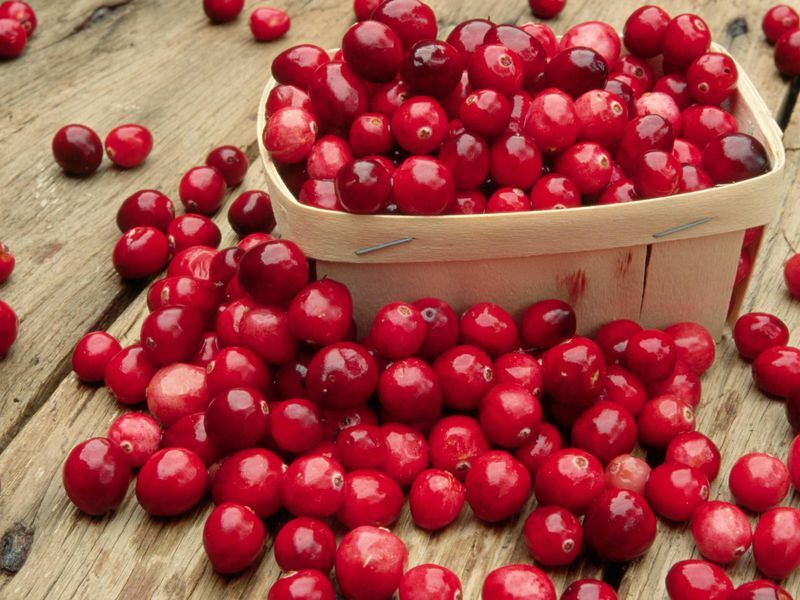 In the early 1800s, Captain Henry Hall found some cranberries growing in bogs around Cape Cod. He took some vines home, cultivated them, harvested them, and other farmers took notice. Yet it wasn't until 1912 that they took over the holidays, and all because a lawyer named Marcus L. Urann was a man with ideas. First of all, he figured out other things to use them in - starting with cocktails. Also, he canned the cranberries, and this was huge. You see, prior to canning, cranberries were only good for two months out of the entire year. But he put 'em in a can, and got all the major cranberry farmers together to form a collective. After World War Two, he named the whole operation...Ocean Spray. Sound familiar? "Ocean Spray still is a cooperative of 600 independent growers across the United States that work together to set prices and standards." - Smithsonian Magazine. Currently, Ocean Spray is also a leader in the grapefruit juice market with their Ruby Red Grapefruit juice. Seems they have a knack for turning tart fruits into beverages. The things we learn, right? Cranberries or not, Happy Thanksgiving!